You can access PigCHAMP anywhere you have an internet connection, using PigCHAMP Online. Using a secure Remote Desktop Connection (RDP), users can access all the easy-to-use features, tools and reports of PigCHAMP Reproductive and Grow-Finish on a tablet, IPad, laptop or desktop computer. 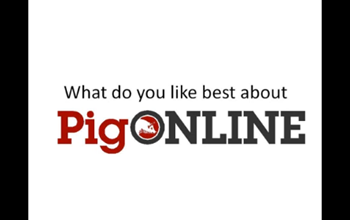 Find out more about PigCHAMP Online or contact us to find out how to get started. Hear from users of PigCHAMP Online. International PigCHAMP customers are supported by a global network of Agents and Distributors. PigCHAMP Pro Europa in Spain, who work with farms throughout southern Europe, recently held a celebration in honour of their 15th Anniversary in Segovia, Spain. More than 160 people gathered at the event, which included speakers and professional development sessions featuring European and global leaders in the Swine Industry. The Association of American Swine Veterinarians (AASV) recently held their annual convention in Orlando, Florida. PigCHAMP was among the varied agri-businesses and industry organizations who participated in the "Tech Tables" trade show, and we were proud to support the AASV Foundation Auction, which raised over $104,000 to fund scholarships and grants in support of veterinarian student education. PigCHAMP also extends congratulations to the winners of awards presented at the convention, including: Dr. Megan Inskeep from Rensselaer Swine Services, who was recognized as "Young Veterinarian of the Year"; Dr. Howard Hill, who was presented with the "Meritorious Service Award"; Dr. Butch Baker, recipient of the "Howard Dunne Memorial Award"; Dr. Kerry Keffaber, the Technical/Allied Services Veterinarian of the Year; and Dr. Larry Coleman, Swine Practitioner of the Year.